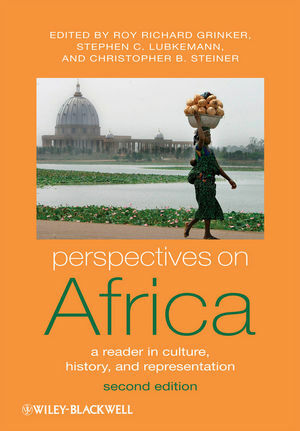 The second edition of Perspectives on Africa: A Reader in Culture, History, and Representation is both an introduction to the cultures of Africa and a history of the interpretations of those cultures. Key essays explore the major issues and debates through a combination of classic articles and the newest research in the field. Roy Richard Grinker, Ph.D. is Professor of Anthropology and International Affairs at George Washington University, Director of the GW Institute for Ethnographic Research, and Editor-in-Chief of Anthropological Quarterly. He is author of four other books, including In the Arms of Africa: The Life of Colin M. Turnbull, Houses in the Rainforest: Ethnicity and Inequality Among Farmers and Foragers in Central Africa, and Unstrange Minds: Remapping the World of Autism. Christopher B. Steiner is the Lucy C. McDannel ’22 Professor of Art History and Director of Museum Studies at Connecticut College. He is the author of the award-winning book African Art in Transit, and co-editor (with Ruth Phillips) of Unpacking Culture: Art and Commodity in Colonial and Postcolonial Worlds. Stephen Lubkemann is Associate Professor of Anthropology and International Affairs at George Washington University. He is author of Culture in Chaos: An Anthropology of the Social Condition in War and is associate editor for Anthropological Quarterly and a co-founder of GWU’s Diaspora Research Program. 14. Solway, J. S. and R. B. Lee. Foragers, Genuine or Spurious? 38. Richards, P. "Fighting for the Rainforest"